Preservation and repair of masonry structures require considerable expertise in all aspects of masonry evaluation and rehabilitation. 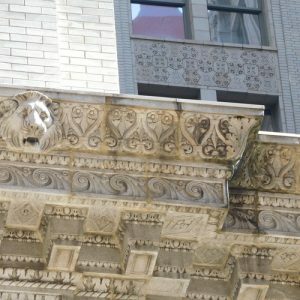 Pillar Design Group Inc. provides engineering services to evaluate and rehabilitate masonry structures and facades including clay, concrete, stone. We investigate and evaluate existing structures, design remedial programs, and provide contract administration and field observations during restoration projects. Our masonry experts have provided evaluation services for numerous structures many of which have historical significance. Review available construction documents to determine the original design intent. We then perform a visual condition survey to identify potential problems. Our evaluations include structural analysis of load-bearing components (where appropriate) and weather-resistance of facades. If required, we perform non-destructive testing and inspection openings to ascertain construction details. At the completion of this phase, we issue a report that describes existing conditions and the structural integrity of the components. We provide rehabilitation recommendations and include photographic documentation, field measurements and data to substantiate our observations and engineering assessments. We identify restoration/rehabilitation alternatives, including cost estimates. The owner’s plans for future use and the projected service life of the facilities are incorporated into a present life cycle cost analysis. Our contract documents describe the necessary restoration work and include technical specifications, details and drawings, as well as bidding and contractual requirements. We are experienced with facilitating the bid process. We provide engineering services during construction to facilitate compliance with contract documents. Our professionals schedule and lead progress meetings. When unexpected conditions are uncovered, we resolve the technical as well as administrative issues promptly. We review submittals and contractor pay requests and prepare closeout documentation.